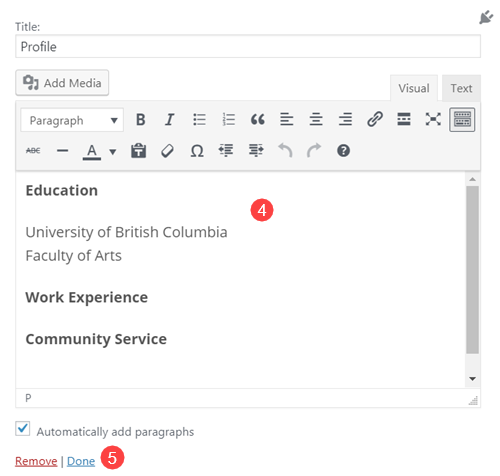 The profile sidebar, located in the left column of your site, can be edited and viewed from the Activities page and/or the home page (if the default layout is kept). 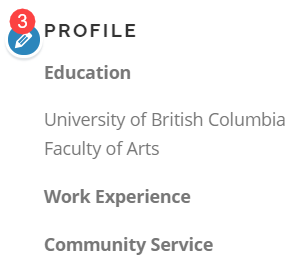 By default, the profile sidebar is pre-populated with the headings: Education, Work Experience, and Community Service. You can keep them or completely modify this area to suit your needs.